STRETCH GOAL: We have reached our initial goal of $5,000 so we are pushing for our stretch goal of $10,000! This will help cover the costs for two campers to attend AileyCamp this summer! Thank you to the incredible donors who have already donated! Since 2001, AileyCamp has changed the lives of more than 1,000 Bay Area young people. AlieyCamp is transformative. During a six-week intensive summer camp program, students explore through dance their identity, personal responsibility, and creative ways to communicate and interact with the world around them. The strength and perseverance that they develop at camp is echoed not only in their dance practice, but perhaps most importantly, in their classrooms at school, and with their families at home. Together, we can give one camper a free summer camp experience with gifts to our crowdfunding campaign. 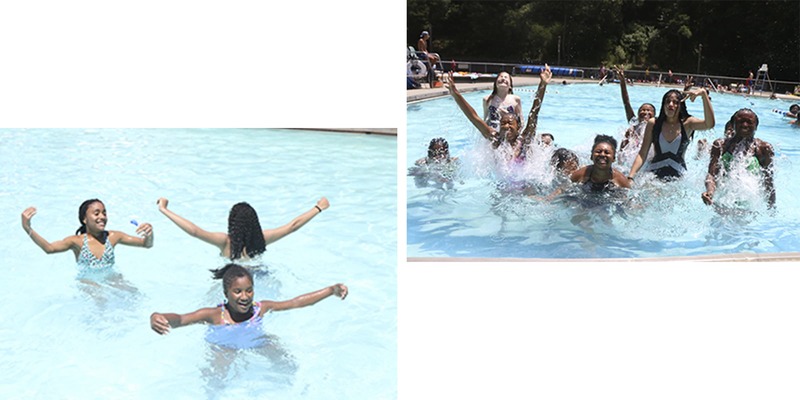 Your gift provides a unique summer experience that includes daily dance classes, personal development workshops, transportation to and from camp, dance clothes and two daily meals. All of which are provided completely tuition-free for every camper. AileyCampers spend every day trying new dance moves, learning new skills, and working towards a common goal. In doing so, they learn that it often takes more than one try to be successful and that hard work pays off. Everyday campers take dance classes and work together in professional development workshops to learn about critical thinking and creative communication. They practice these skills in real time as they learn new choreography and come together to put on a final show for their family and friends. Do you remember going to summer camp as a kid? Many AileyCampers don’t have access to activities throughout the summer and AileyCamp provides them with a place where they can learn and grow while dancing and playing with their peers. They enjoy activities on the UC Berkeley campus, trips to the pool, and other fun field trips! AileyCampers come from around the Bay Area with varying levels of access to food, education, and adult guidance. The students receive professional dance training and transportation to and from camp, 2 meals a day, clothes for dancing, and all the supplies they need for every class. 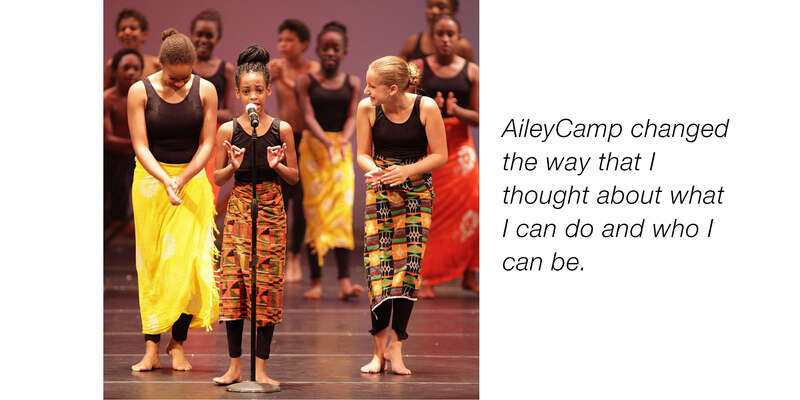 AileyCamp relies on your support! Your contributions to AileyCamp make an impact on the lives of the students and through them, on their parents, their communities and in their schools as they use and promote the skills they have learned while at AileyCamp. 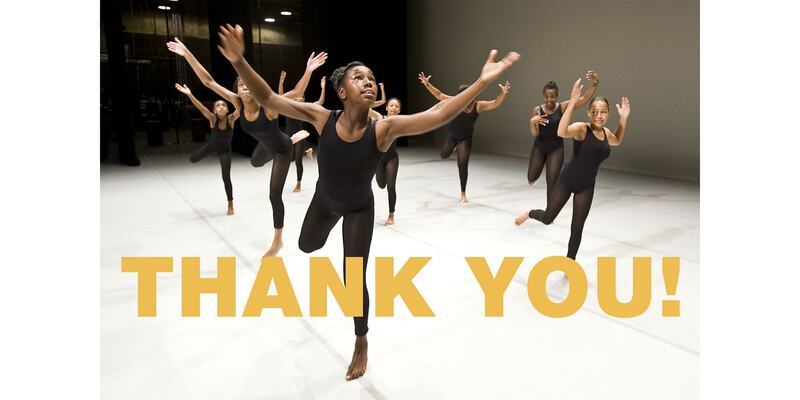 Thank you for your support of AileyCamp. 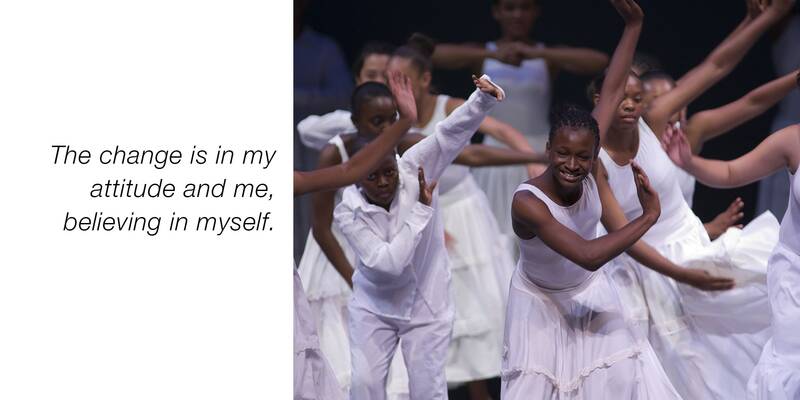 Your donations will make a difference for the students who attend AileyCamp this summer! Celebrate AileyCamp with a ticket to the AileyCamp performance on August 1! $25 helps make sure every camper receives two meals a day. Receive a thank you card from an AileyCamper this summer and a ticket to the performance. $50 will help outfit a camper for the summer. Every camper needs dance clothes and ballet shoes. Show your AileyCamp pride with an AileyCamp sticker and receive all benefits above. $100 helps buy art supplies for creative communication classes. Receive a phone call from AileyCamp director, David McCauley, thanking you for your gift and receive all benefits above. $250 ensures that our dancers have studio space for dance classes. Your name will be listed in the Program Book for the AileyCamp performance and all benefits above. $500 will help ensure that campers receive transportation to and from camp every day. Enjoy a visit to the AileyCamp open house and all other benefits! $1,000 helps cover the costs of housing one of our teaching artists for the summer.